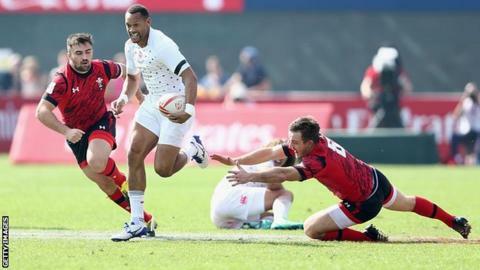 Great Britain will compete in a series of international sevens tournaments in preparation for the Rio Olympic Games. Men's head coach Simon Amor will name a training squad in May, with a men's and women's final 12 announced in July. Two men's teams will enter tournaments in Moscow, Exeter, Gdynia and London in June and July, with the women's sides competing in Kazan and Tignes. "It is a condensed programme as a result of a number of unique challenges," said Amor. "But everyone involved is determined to give it everything for Team GB to be successful in Rio." England, Wales and Scotland compete separately on the Sevens World Series but will form one team for Rio.